Knitting needles are your paintbrushes; yarn is your paint. Dip into your stash and unearth all your unused, hoarded treasures … remainders and reminders of old projects and scraps that were too good to throw away. This collection is going to put all of your beautiful leftovers to good use. I have to admit, I truly love a good neutral. In my past knitting publications, I have used lots of wonderful hues of gray, brown, black and white. But lately, something inside me couldn’t resist the exploration of intense, saturated color. True greens and blues; the juxtaposition of indigo next to yellow. I visited museums and was inspired by pop art, contemporary art, cubism and abstract expressionism. The wild color combinations would vibrate. They put a smile on my face and they made me want to knit in color. Color can make you feel different things. 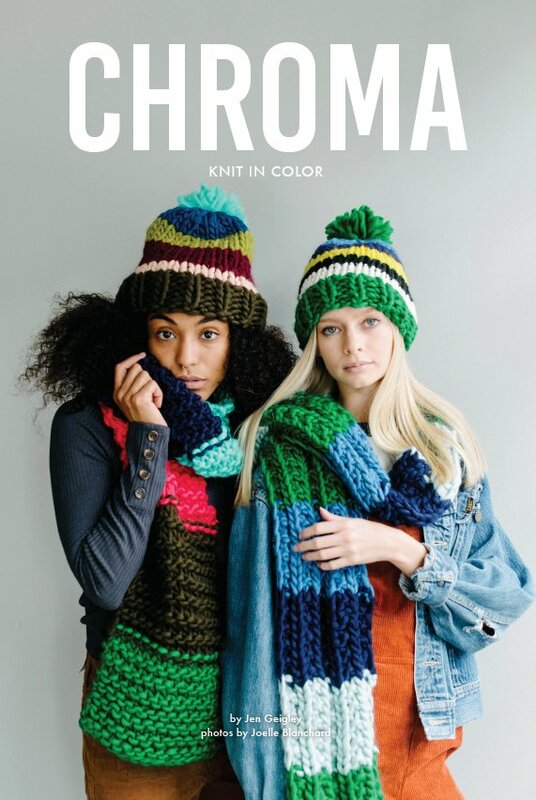 Paul Klee once said “Color is the place where our brain and the universe meet.” My hope is that you’ll have fun knitting the patterns in this collection and knit something you might not ordinarily knit. Look to art for color inspiration – the works of Keith Haring, Jean-Michel Basquiat, Andy Warhol, Roy Lichtenstein, James Rosenquist, Wassily Kandinsky and Claes Oldenburg are great places to start. Choose colors that speak to you. Collect bits of yarn from your stash or from friends. Create your own color palettes. What are your favorite colors? What color combinations have you never used before, but have always wanted to try? This is your chance and the yarn is your paint. Create something that is entirely colorful; entirely you.